Frank Kish, born April 25, 1935, passed away at the age of 83 due to complications of Alzheimer’s Disease near his home in Seacrest, Florida. He is survived by his wife Elizabeth Kish, his eldest son Frank Kish and his wife Judy, his youngest son Alex Kish and his wife Diana, and four grandchildren, Ayden, Keaton, Zachary, and Madalyn. 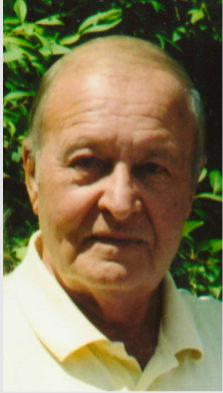 Frank was born in Veszprem, Hungary, and immigrated to the United States as a refugee, after serving as a sergeant fighting for the Hungarian resistance during the Hungarian Revolution of 1956. He worked multiple jobs, taught himself English, and was proud to become a citizen of the US in 1962. He believed strongly in educating one’s self and took correspondence courses in math and chemistry leading to a career as a manufacturing supervisor for a major pharmaceutical company. He will best be remembered for the love of his family and his strength thru perseverance and personal diversity. In celebration of his life, a memorial service will be held on Sunday, September 9 at Good News United Methodist Church, 3562, 4747 US-98, Santa Rosa Beach, FL 32459 from 3:00-4:00 PM. A reception will be held immediately following the service from 4:30-7:00 PM at the home of Alex Kish, 1715 Driftwood Point Rd, Santa Rosa Beach, FL 32459. In lieu of flowers, we request for those who wish, please donate to the Alzheimer’s Foundation of America (https://alzfdn.org/) in his name.